Founders Janita Relander (left) and Maria Haapaniemi presented the concept at Kasvu Open. 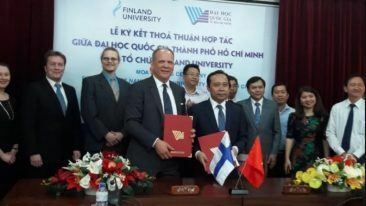 Finnish education export company Polar Partners has agreed with Alliance Group Holding to establish a school based on the Finnish education model in Georgia. 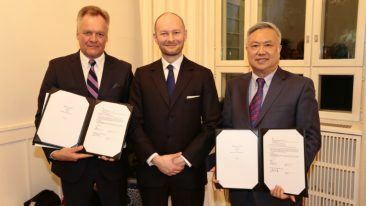 According to Talouselämä, the agreement is worth millions of euros for Polar Partners. 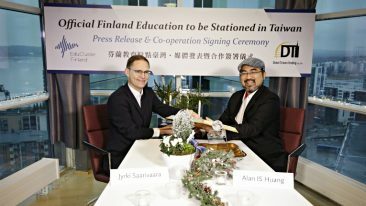 It is the Finnish startup’s first deal for an entire school and will cover everything from the design to learning environments and hiring of teachers, all of which will be tailored to the local culture. The school will first open its doors to first- to third-grade students in Saguramo, near Georgia’s capital Tbilisi, in September 2019. Later, education will be provided all the way up to the 12th grade. “I believe that in the future we will be able to carry out similar projects in several other countries, in addition to Georgia,” Polar Partners’ CEO Maria Haapaniemi commented in Talouselämä. Founded in 2017, Polar Partners collaborates with a network that includes the Finnish National Agency for Education, as well as 43 schools and companies specialising in education, to offer a comprehensive Finnish school concept with more than 200 products. Eight of the partners are involved already in the initial stage of the project, which is expected to take five years.